A short four minute walk to the event. 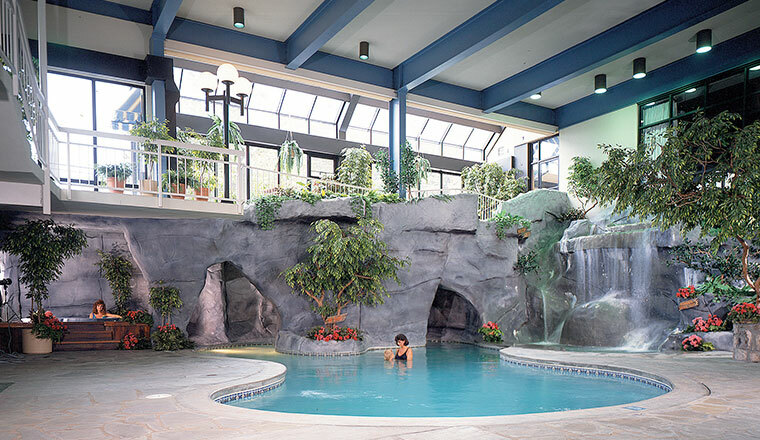 Multi-level indoor pool in a large park-like area. Free parking. Free wireless internet. Coffee makers in every room. Rooms with refrigerators available. Suites available. Full service restaurant on-site with breakfast buffet for only $9.95 per person. 1st night’s room & tax required at time of reservation. 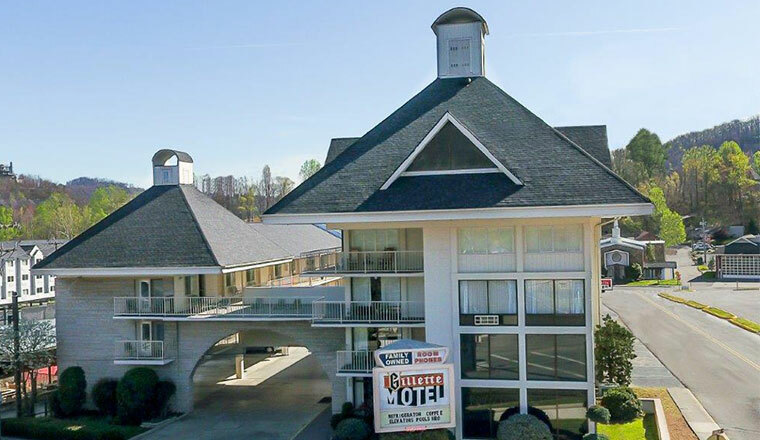 The Gillette is conveniently located directly across the street from the Gatlinburg Convention Center and is walking distance to restaurants, gift shops and entertainment. 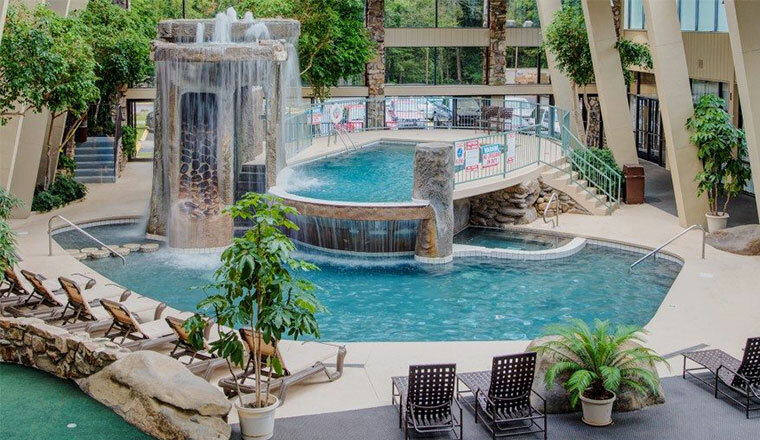 Sidney James Mountain Lodge is located less than half a mile from the Gatlinburg Convention Center and is walking distance to restaurants, gift shops and entertainment. Cradled by Great Smoky Mountains National Park, Gatlinburg surrounds visitors in natural splendor, all the while offering quaint comforts and family fun. Gatlinburg plays a vital role as the gateway to the very popular Great Smoky Mountains National Park. With 500,000 acres of forest and 800 miles of hiking trails, the opportunities for hiking, fishing, and camping are nearly endless. And with over 200 species of birds, 60 native mammals, and the most diverse salamander population in the world, there are plenty of chances to glimpse local wildlife. There’s an abundance of other ways to enjoy the great outdoors around Gatlinburg. Nearby rivers are popular whitewater rafting spots. Golfers will also find plenty of chances to practice their swings. There’s even skiing in winter. Off-road tours and an aerial tramway offer more ways to witness the area’s natural beauty. Downtown, visitors can stroll among shops selling candy, souvenirs, and other wares; or visit a popular family attraction such as Ripley’s Aquarium of the Smokies. Tennessee culture and history is the focus of the Heritage Trail, with stops in Gatlinburg (and around the state). The Gatlinburg History Trail gives visitors a glimpse into people and events that have shaped the town. Local artisans sell quilts, dolls, scrimshaw, baskets, and ceramics along Gatlinbug’s eight-mile Arts & Crafts Trail. The Music Trail pathway explores the rich music history of the region, and offers plenty of chances to enjoy live performances. Take I-40 East from Knoxville to Exit 407, turn right onto State Route 66, continue until first major intersection in Sevierville and turn left onto US 411, follow U.S 411 1-2 miles and turn right onto Veterans Memorial Blvd (at Taco Bell). Go straight 5-6 miles. You will go through 5 traffic lights total. At the fifth red light, you will turn left onto 441. Follow 441 into Gatlinburg. Once you get into Gatlinburg – Turn left at red light #8, the Convention Center is on your right. There is a parking lot beside the building.